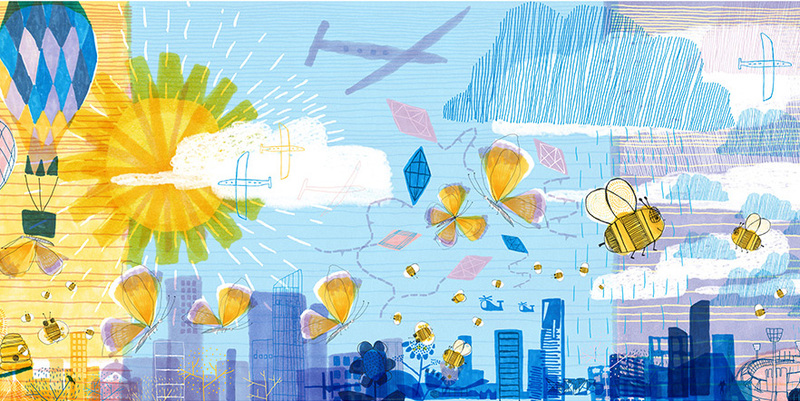 Sheree Proposch, Director Bates Smart. 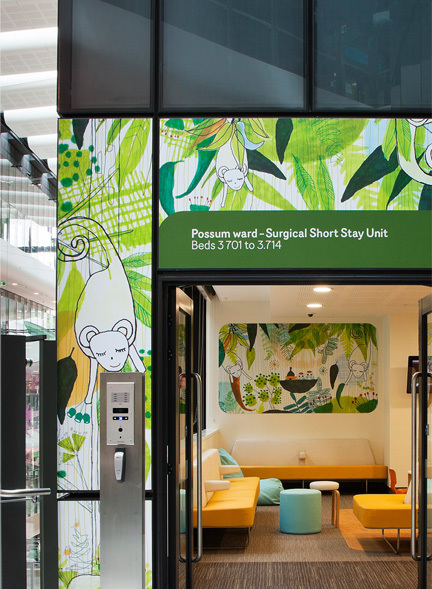 This project won the prestigious London based international Association of Illustrators (AOI) Awards 2013, category Public Realm. 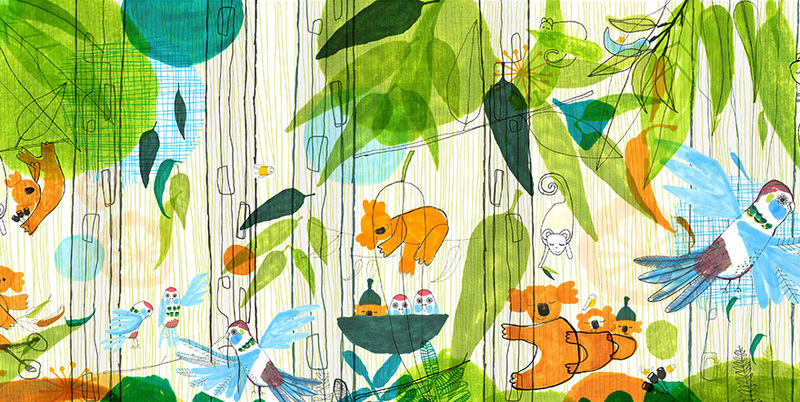 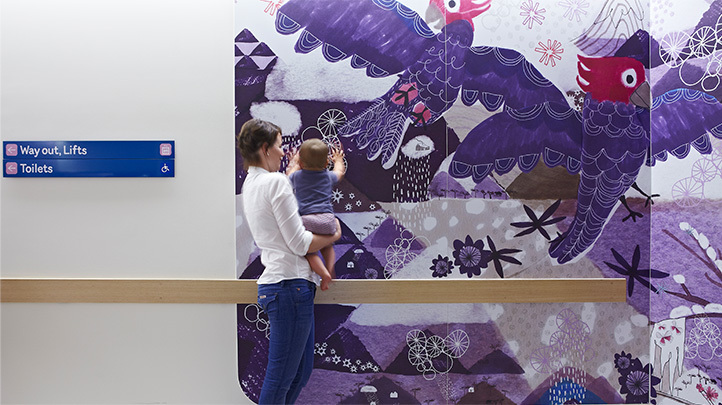 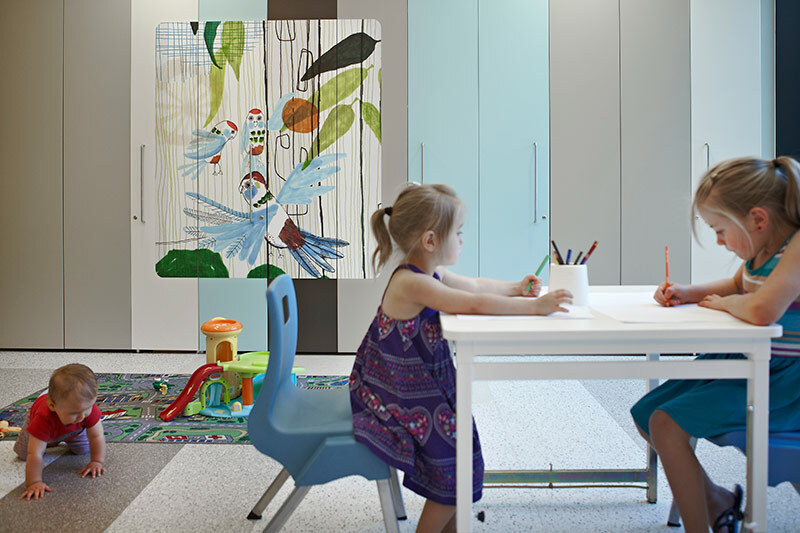 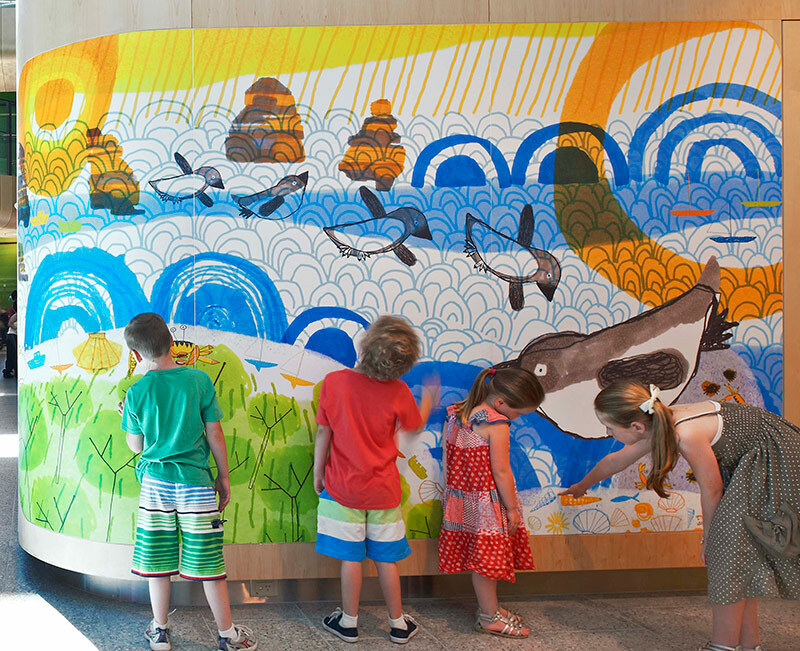 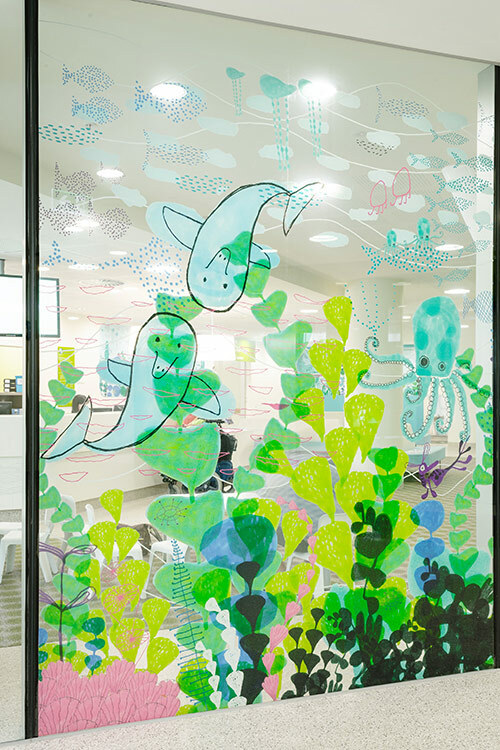 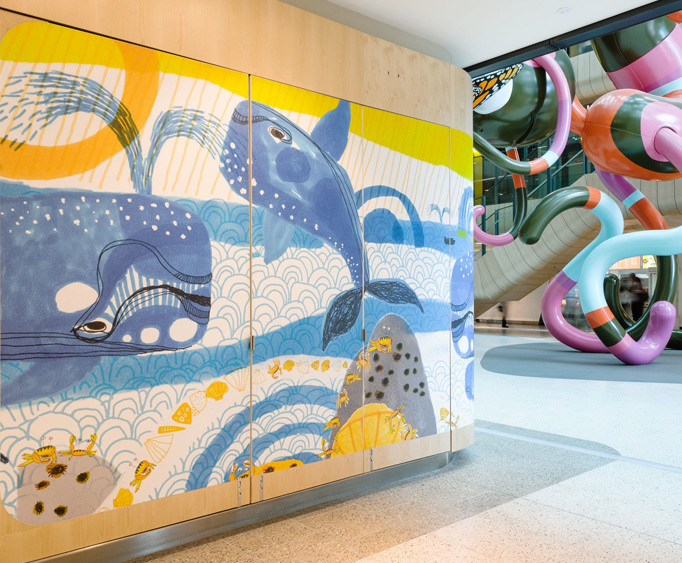 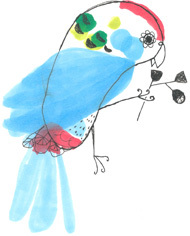 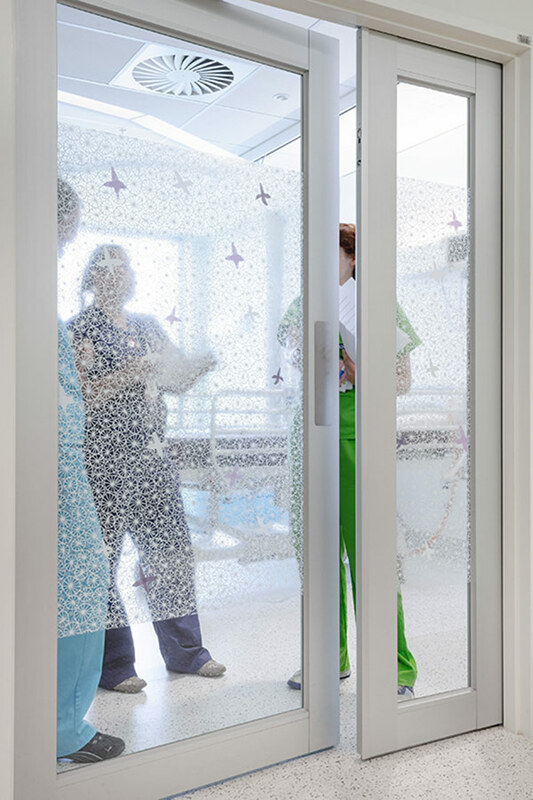 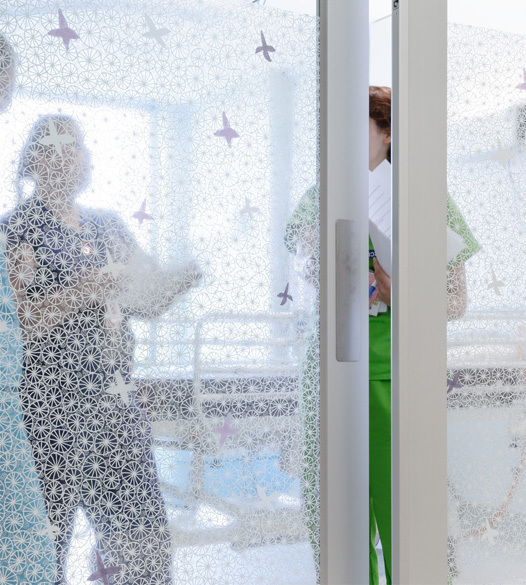 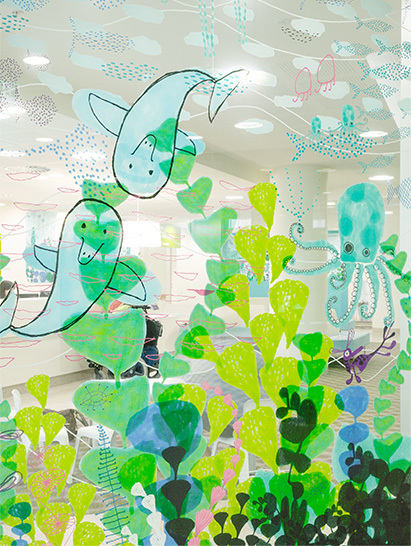 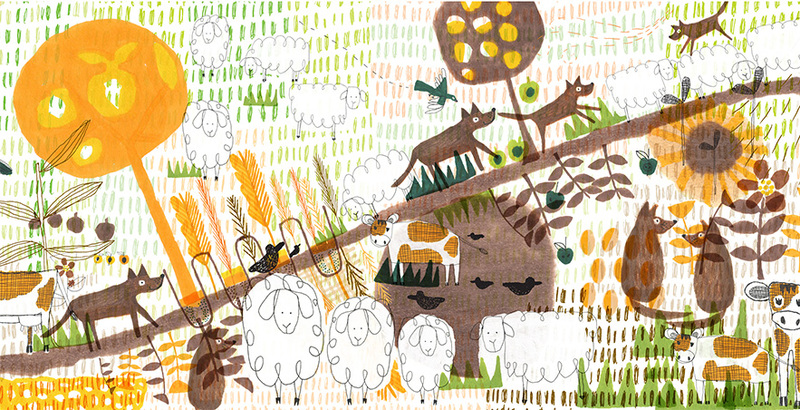 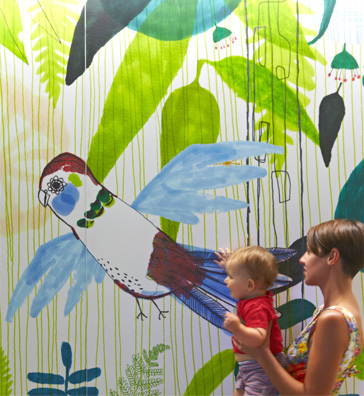 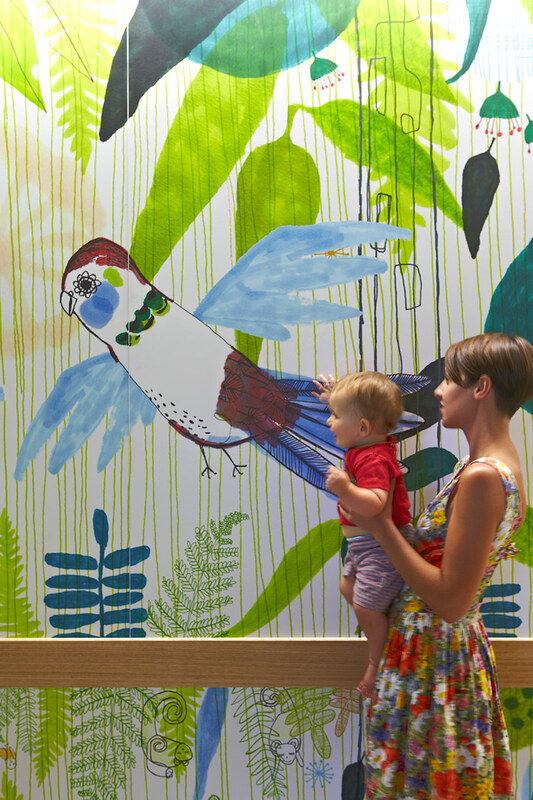 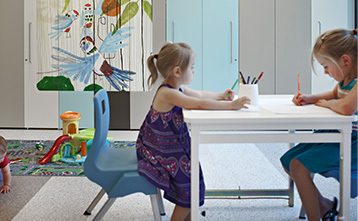 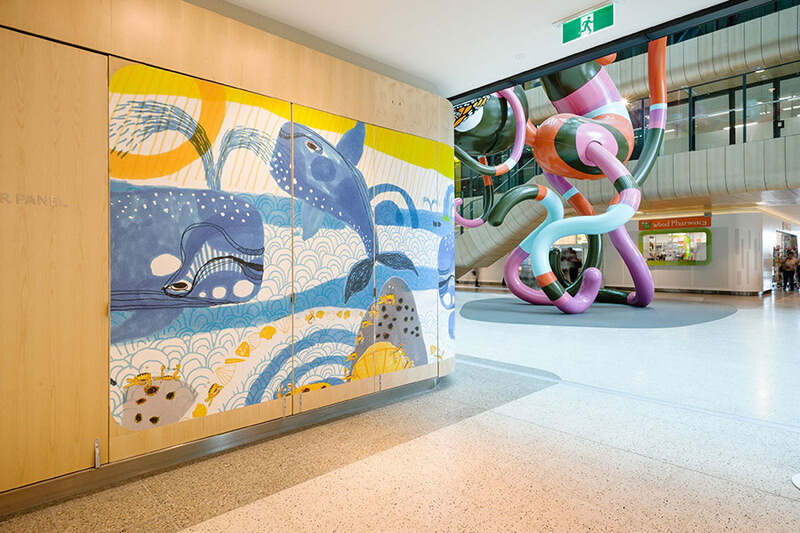 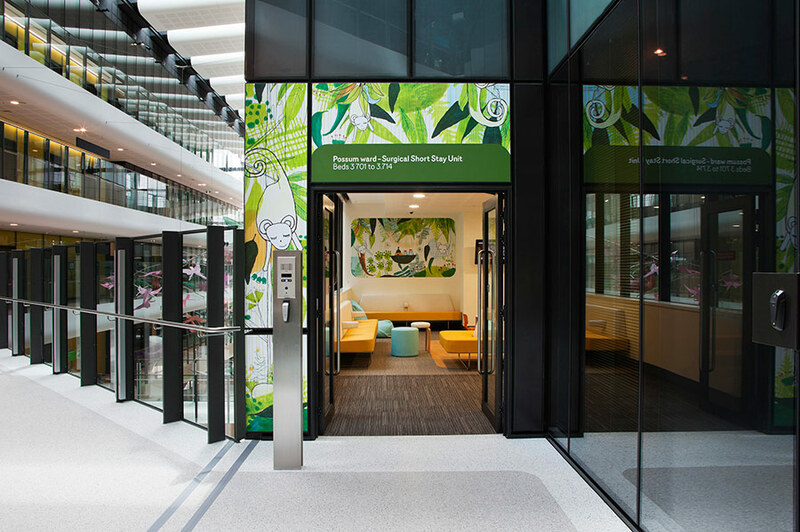 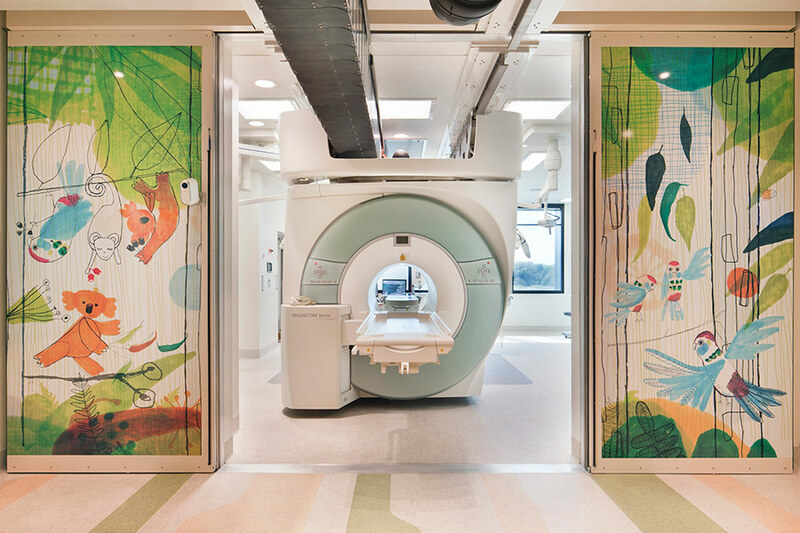 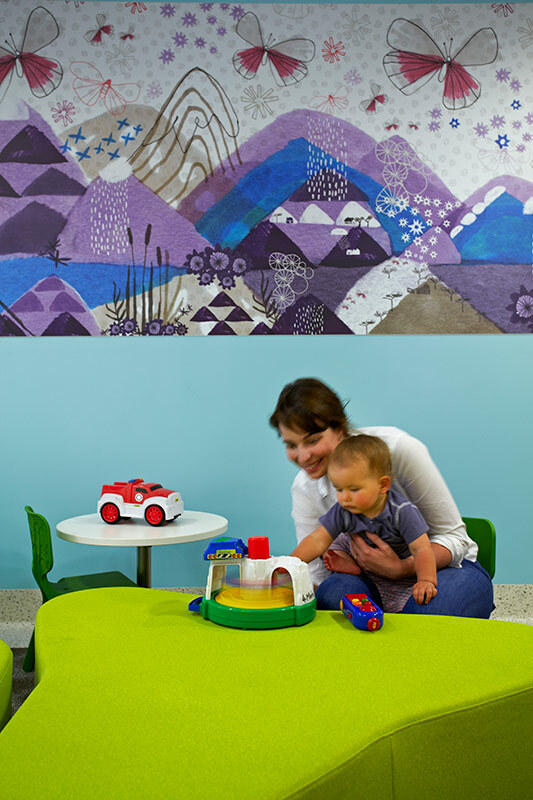 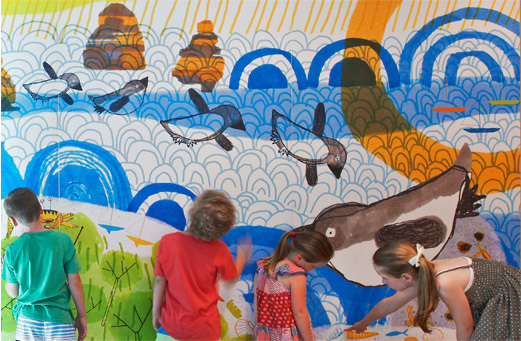 My illustrations were used throughout the New Royal Children′s Hospital as way finding and interior graphics. 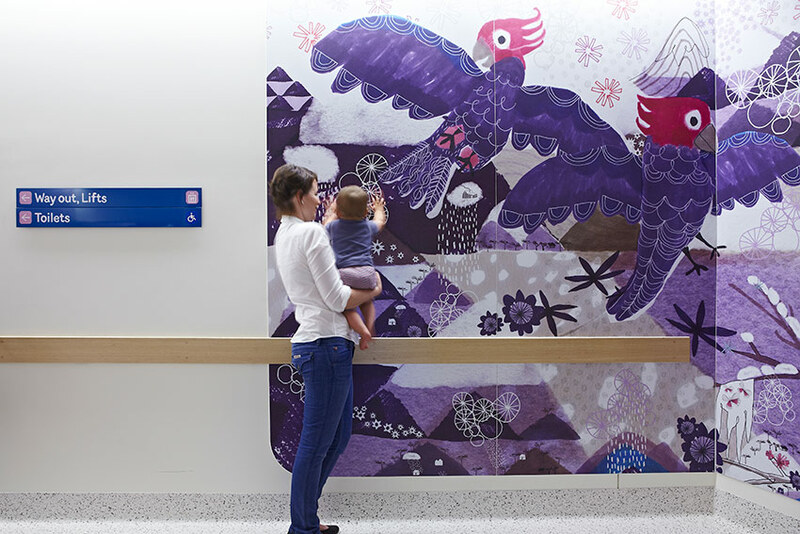 I worked for a year full time on this project and got to work with an amazing team of people. 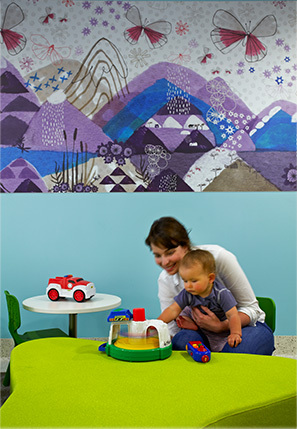 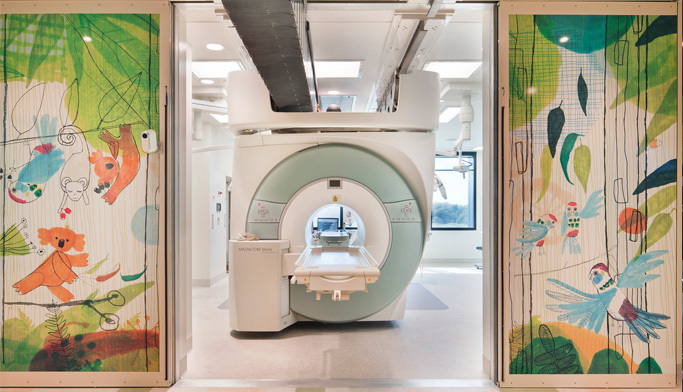 Environmental themes and related characters were used to describe destinations and functions in the hospital. 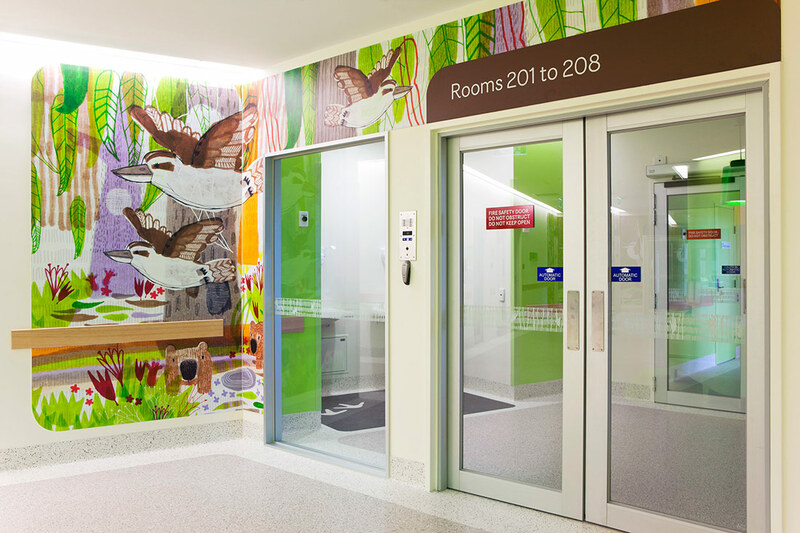 Moving through the different floors of the hospital their journey takes them from ′underground′ at the lower ground levels through to ′sky′ on the top floor. 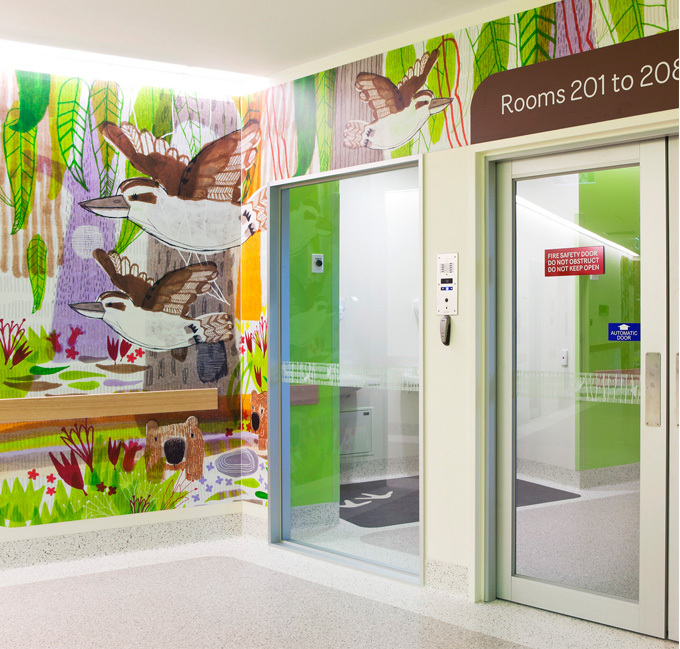 Buro North worked with my illustrations to create highly distinctive wayfinding graphics and over 5,000 signs, wall panels and essential landmarks for the large hospital site.